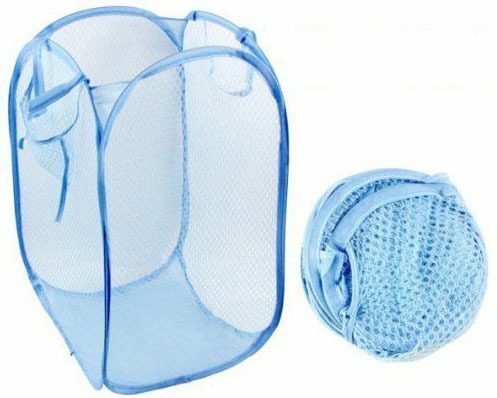 Pop Up Hamper Only $3.55 SHIPPED! You are here: Home / Great Deals / Amazon Deals / Pop Up Hamper Only $3.55 SHIPPED! Need a hamper for your kiddo’s room or for an older child who’s heading off to college? Check out this deal – get this Pop Up Hamper for just $3.55 with FREE shipping! I love these because they fold down flat for easy storage and transport! Material:Mesh+ Stainless wire. Condition:100% Brand new. Pop up fold with the elastic wire mesh breath freely storage. Helps keep the daily clothes in order and clean.